Everyone loves getting ‘nice post’ and it just doesn’t get any better than getting ‘nice post’ at a patchwork and quilt fabric shop! Every so often we get a delivery of a large cardboard box just full to the brim of goodies, and the latest did not disappoint one little bit. Okay, we know it’s September, and it’s not even the Autumn equinox yet… but we also know that to make a patchwork quilt with love takes time, and December is a busy month! 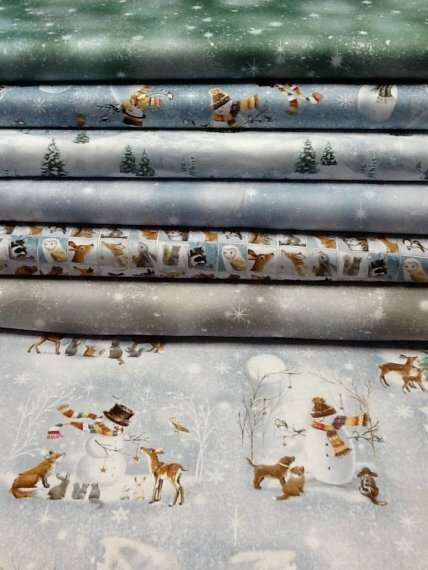 So we have bought in two ranges of Christmas or winter quilting fabric (both are high quality, 100% cotton as always here at The Quilt Cabin). 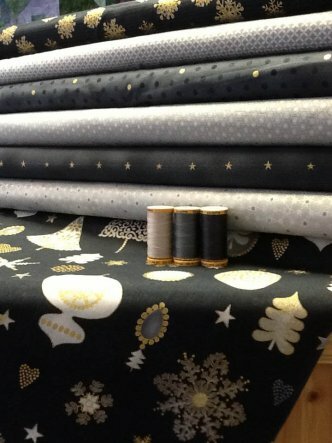 New from Dutch designers, Stof, Magical Moments is a cleverly diverse quilting fabric range for winter. 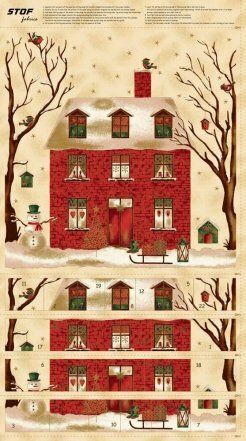 It offers delightfully festive designs, such as the panel of Christmas houses and the Christmas tree ornaments on a deep grey background, but also includes a range of subtly beautiful prints that tone well with the celebratory theme but would tone just as well with your existing stash of deep grey, silver, gold, deep red or forest green. We love all of these, but a favourite might just be the deep grey with tonal polka dots, interspersed with an occasional gold dot. This Woodland Friends fabric, designed by Sarah Summers for Quilting Treasures, is just delightful! The different fabric patterns follow a theme of softly snowy backgrounds, with feature prints and basics. Look out for the Woodland Friends Vignettes with pine trees, forest animals, snowmen, and the Animal Patch, with the faces of deer, foxes, owls, amongst other creatures, framed in squares. Toning basic fabrics include Pine Tree Scenic and Snow in soft shades of green, palest blue-grey and muted brown.